Fun along the banks of the Thames yesterday afternoon. Cool! We just had a sand sculpture competition at Revere Beach! Ah sand... is this rather like the beach on the Seine? Perhaps I forgot the Thames has sandy banks? 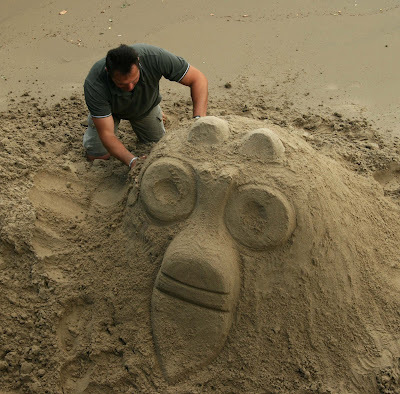 I can't remember the last time I made something in the sand. It's such a sensual activity. The Thames snad sculputre. Now that is novel. Well done again.